A Cape May Tradition - Family owned since 1976 ! Set on historic Jackson Street, The Mad Batter Restaurant & Bar is considered the granddaddy of Cape May’s fine restaurants, and has been the recipient of many critically acclaimed awards. Located inside the Carroll Villa Hotel, a national landmark welcoming guests since 1882, our Cape May hotel guests enjoy breakfast vouchers and 30% off dinner entrees with their stay. Start the morning with our famous breakfasts and come back for lunch and dinner! Dine on our front porch, in our skylit dining room, or in our garden terrace. We are open year-round! 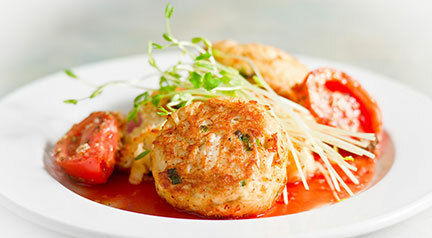 View our Cape May Restaurant Menu. 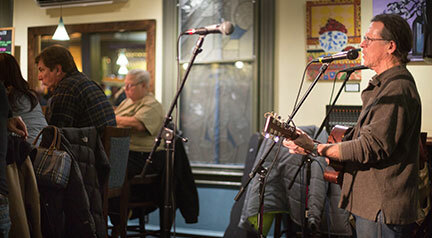 Browse through our art exhibits or join us for Happy Hour and live music in Cape May every night, including “Open Mic” night on Sundays.